Isn’t it gorgeous? I LOVE it! Well, that is it for me my lovelies! That cover for Amber House is beautiful. What a lovely haul. Enjoy all your new books. Wow, you got some great books! 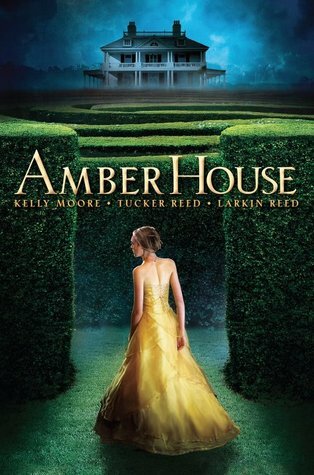 I love the cover for Amber House, I'm definitely adding that one to my TBR list! Awesome haul. I can't wait to read Storm and I really enjoyed Dark Companion. Wow, great books. I am loving that cover too. I love watching vlogs 😛 so glad you have one. And yes Alyson Noel's books are pretty good. I haven't read Ruby Red either. I hope you like it! I read and liked Immortal City. I don't know why so many people hated it lol. Maybe it was too materialistic. I just ignored that part. You had an awesome week! I hope you enjoy everything! Great books! Seraphina and Cursed look pretty amazing. I'm a new follower, thanks for stopping by! I think I requested for Amber House a couple of weeks ago. But I agree the cover is indeed gorgeous! Oh, yay for Alyson Noel! I loved going to her signing. She's just so nice!! I love the new cover for Ruby Red! How pretty.